The Sophia series is an elegant design, inspired by the 50’s. 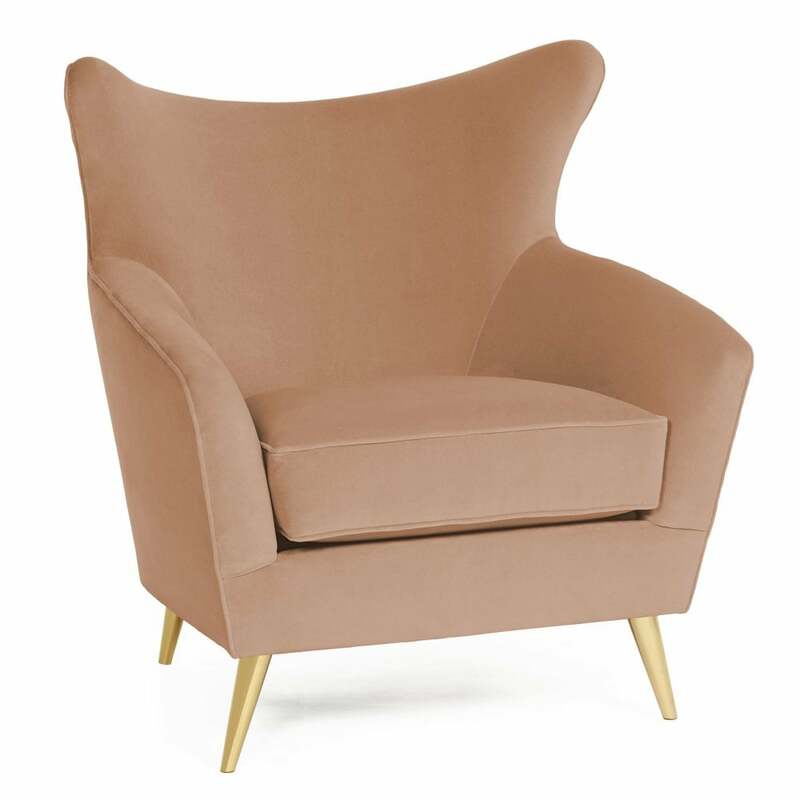 Upholstered in cotton velvet, it has detailed seams and high heeled cone shaped feet. It is structured in solid wood birch. Featuring a softened cat eye wingback aesthetic, the Sofia has true modern appeal.